As a business develops its server capability, it soon becomes apparent that the hardware and software that supports their server deployment is vital to ensure their servers are always operating at their optimum efficiency. In the past, IT managers would have had to develop their own hardware and software regimes to fit their particular business needs. Today, the specification, purchase, installation and maintenance of servers, storage and switching can be bought off-the-shelf and installed with ease. 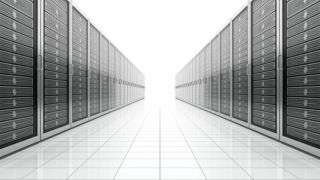 Storage has over the last few years become a major component of all server deployments. The rise of big data has meant that businesses now need to store vast quantities of information. There are now a number of options including networked, direct-attached and object storage that IT managers can choose to deploy. Each has its own particular core application, which means it is critical that IT managers take advice about their business's storage needs. Of course, the servers and the storage you choose for your business don't exist in isolation, and IT managers need to carefully choose the networking options for the servers they deploy. Examples are the Dell Force10 data centre networking platform that offers Ethernet and router/switch options, and the PowerConnect family of switches that supports up to 10 Gigabit Ethernet, with wireless networking also available for Dell Blade Servers. Server platforms and their supporting infrastructure need management tools to enable IT managers to gain the most from their investment. Dell could see that control and management were an important part of server efficiency and so created AIM (Advanced Infrastructure Manager) that streamlines many of the core tasks that IT managers will have to perform to keep their server deployments operating at high levels of efficiency. Turning to the cloud and virtualisation, Dell offers VIS Creator that allows authorised users to select, deploy, and manage a customised catalogue of IT applications and resources (known as service blueprints) while IT maintains governance and control. In a white paper on simplifying cloud operations, IDC concludes: "To help customers move quickly from proofs of concept to operational cloud environments, solution vendors need to provide customers with a range of use cases and payback models that go beyond the automation of VM (virtual machine) provisioning. "For Dell, the value of VIS will be seen most strongly in complex environments that need automated provisioning and control across a wide variety of platforms and management tools." For all IT managers developing an integrated approach to server installation and management is paramount to ensure their businesses have the additional infrastructure to support their server deployments.